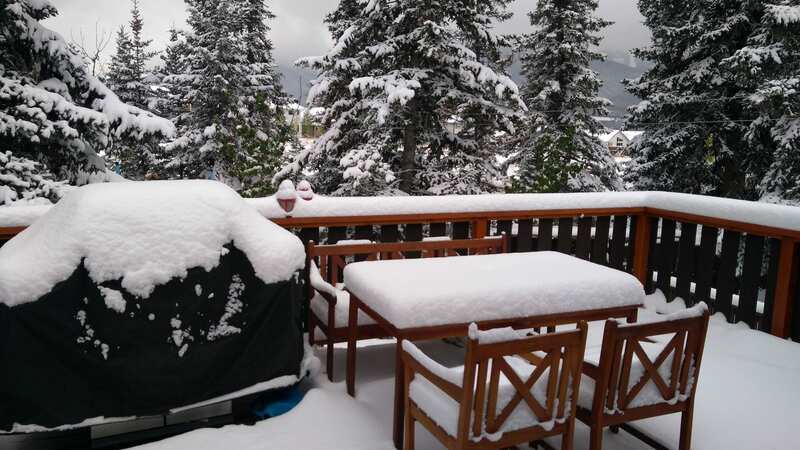 There’s about 20 cm of snow on the ground from the storm that landed on the Rockies today. That’s way too early for my tastes. But, like everyone else, it’s got me thinking about skiing, which in turn has me thinking about getting these legs of mine in shape for ski season. As coach Rob Shaul in the video says, Leg Blasters are no joke. If you try to jump in and start doing them like Pip Hunt you’re going to get really sore and/or pass out, especially if you do a full set. My recommendation is to start it really slow. Don’t “sprint” like Pip does for the first couple of weeks. Ease into it, like any new exercise, and see how it works for you. If you’re sore the next day but recovered on the second day after training, you’ve done well. If you’re still sore on the second or third day after a workout you need to tone it down a notch or two. Here’s a reasonably conservative training plan. Don’t push it! If in doubt, take it even slower than this plan suggests. If you’re already in great shape — no soreness the next day at all and it was a piece of cake — great, progress through the weeks at a faster rate. By my calculations, if you start this plan TODAY then you will be pulling off 5 Full Leg Blasters 3x/week by the beginning of December, which is pretty much perfect timing for ski season! Yes, exciting as this snow might be, ski season by my standards is still a long ways away! Let me know how it goes for you.